New US Administration: A Change in US-Turkey Relations? 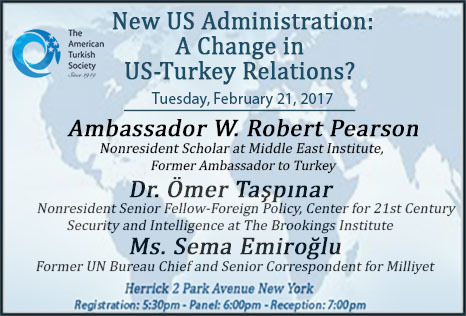 Join us for a conversation with renowned experts on Turkey and the Middle East who will discuss the new US Administration's potentially changing relationship with Turkey. What can Turkey expect under the new US Administration? Our experts will weigh in on Turkey's options given these uncertain times and challenges.